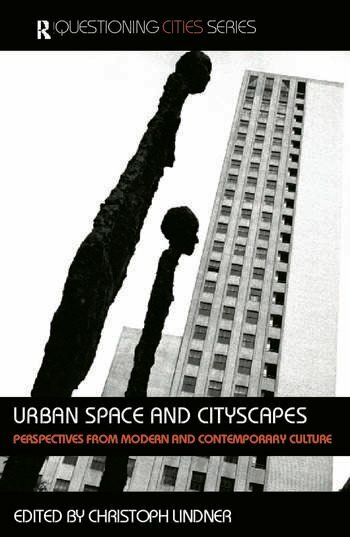 From the verticals of New York, Hong Kong and Singapore to the sprawls of London, Paris and Jakarta, this interdisciplinary volume of new writing examines constructions, representations, imaginations and theorizations of 'cityscapes' in modern and contemporary culture. With specially-commissioned essays from the fields of cultural theory, architecture, film, literature, visual art and urban geography, it offers fresh insight into the increasingly complex relationship between urban space, cultural production and everyday life. This volume draws on critical urban studies and moves beyond familiar cultural representations of the city by considering urban planning and architecture. Organized under three inter-related themes - image, text and form - essay topics range from the examination of cyberpunk skylines, pagan urbanism and the cinema of urban disaster, to the analysis of iconic city landmarks such as the twin towers, the London Eye and the Judisches Museum Berlin. Covering a diverse range of cities, including Berlin, Chicago, Jakarta, Johannesburg, Hong Kong, London, Los Angeles, Paris, and Venice, this fantastic resource for students, scholars and researchers alike, works expertly at the intersections of visual, material, and literary culture.